With the growth of technology, we no longer have to bear with the old-fashioned washing machines that kept changing from one model to another. Today, a washing machine provides you with more features and great options than before. This is significant as the modern type of washing machines save energy, works faster and guarantees efficiency. While it is true that the modern washing machines provides you with many benefits, it is also true that there is need for you to choose one that serves your needs best. 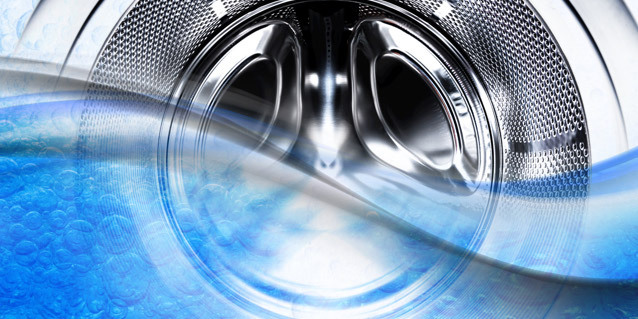 If you would prefer to opt for washing machine repair Singapore services, do contact our team. What are the factors to consider when purchasing a washing machine? The reason to which you intend to use the washing machine will go a long way in determining what kind of machine you will purchase. For instance, if you are looking for a washing machine that will help you to wash multiple wash loads at a time, it is important to pick one with more capacity. This will ensure that most of your clothes fit in it. In addition to that, this ensures that you reduce on energy costs. The drier that you buy should also be large enough to contain most of your clothes and towels amongst any other type of laundry. The higher the spin speed a washing machine has the better. This is because when a washing machine spins faster, it uses less energy as compared to heat-based drying. When looking for a washing machine therefore, look for one with a spin speed of over 1,400 RPMs. In addition to using less energy, these types of washing machines reduces drying times by over 50% depending on the weight of the contents in it. Nowadays, a good washing machine should have a soil sensor. This works by taking measurement of the light passing through the water and in the end determining the amount of soil present in the contents you are washing. By doing this, the sensor is able to send information to the control panel, which in turn adjusts the settings to one that suits the proper washing of the contents in the washing machine. This is a feature that all modern washing machines should have too. It works by taking measurements of the weight of the load in the machine and in the end; it adjusts the water levels to suit the demands. This ensures that the contents washes up efficiently. Apart from the features mentioned above, it is important to you look out for any other relevant additional features that the washing machine may have. Some of them include the option for automatic dispensers amongst others. Due to the growth in technology, washing machines continue to provide you with more amazing features as each day passes. In that case, there are some factors to consider when buying a washing machine. We have discussed some of them above.